View inventive, elevated takes on classic Southern design, from an 18th-century Charleston home to a Monticello-inspired Nashville estate. 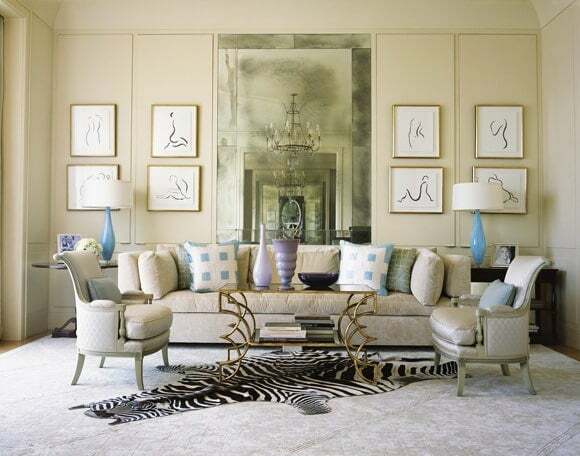 For a palatial living room in Colombus, Georgia, Suzanne Kasler used muted shades and warm textures like tea-colored silk and gray-blue linen velvet to match the space’s soft Venetian plaster walls. The center table is Italian, circa 1850. 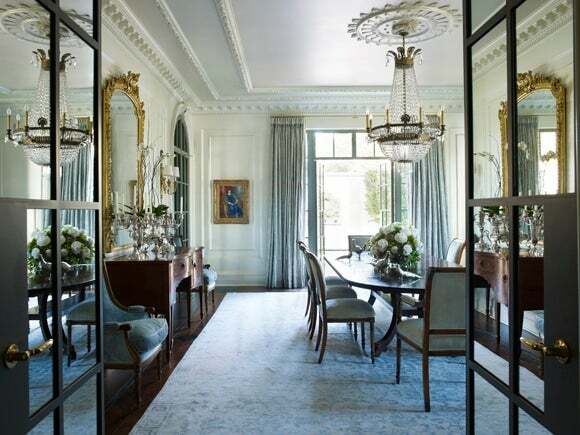 In the home’s dining room, Kasler selected a mother-of-pearl paint color by Ralph Lauren to give the space a subtle sheen. The sideboard is English and the chandelier is Louis XVI-style. 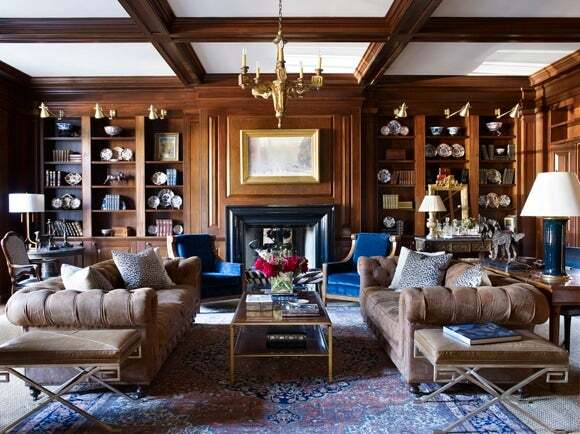 Kasler notes that the Prussian blue hues of the Oriental rug dictated the color scheme of the home’s study, including the Dessin Fournir club chairs and the Christopher Spitzmiller lamp. The Chesterfield sofas lend the room a “masculine heft” and bronze library lamps by Nessen offer a warm glow in the evening. In Raleigh, North Carolina, Groves & Co created a restrained yet dynamic family home that artfully uses lustrous finishes to weave together Art Deco, French and Southern styles. The large black-and-white artwork is by Robert Longo. An Andy Warhol Chanel No. 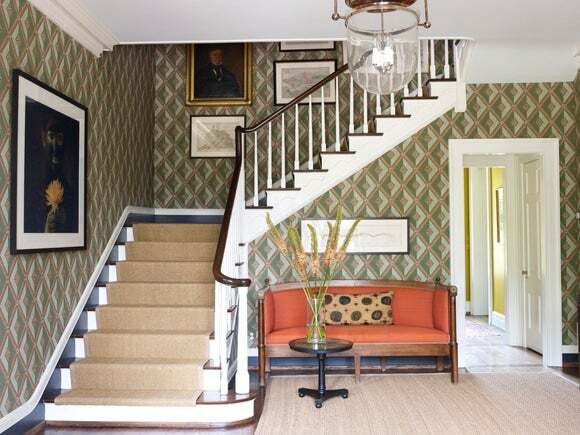 5 screen print anchors the foyer of the same Groves & Co-designed North Carolina home. Hoping to lend the home’s traditional details a more modern feel, the firm used the same soft gray hue on moldings, walls and trims. In Nashville, G.P. 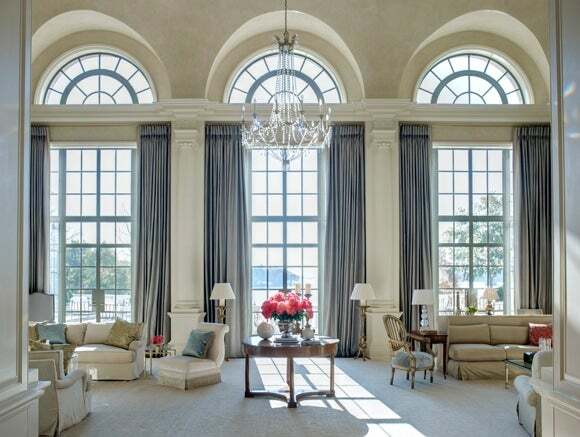 Schafer Architects was tasked with creating a fresh, modern reimagining of Boxwood, a 1915 Georgian estate designed by Charles Platt. 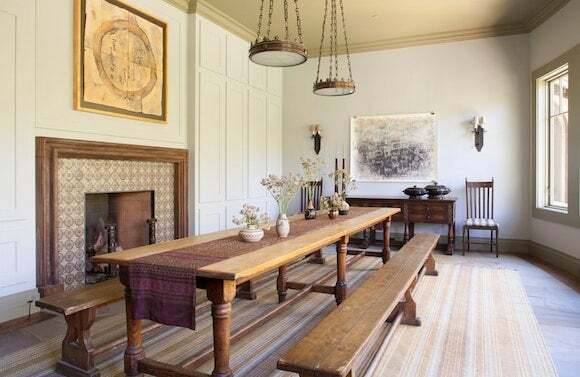 Here in the loggia, the firm restored the room’s original French doors and installed a bold, graphic limestone floor with diagonal oak banding. The interior design is by David Netto. 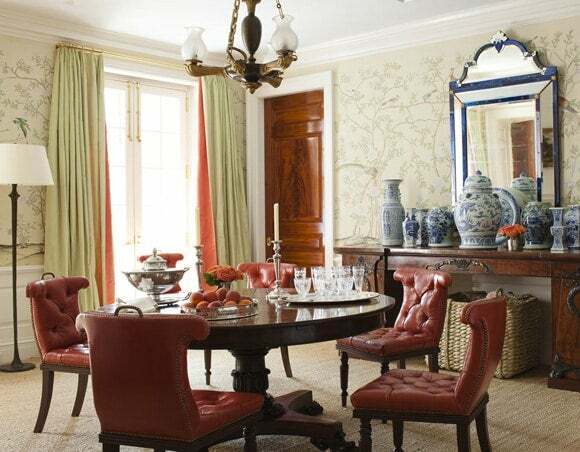 In the same Nashville home, David Netto juxtaposed a 19th-century Robert Jupe round table, Chinoiserie wallpaper by de Gournay and lettuce green taffeta curtains (with bright orange linings) with a simple, jute rug to add a note of youthful informality. 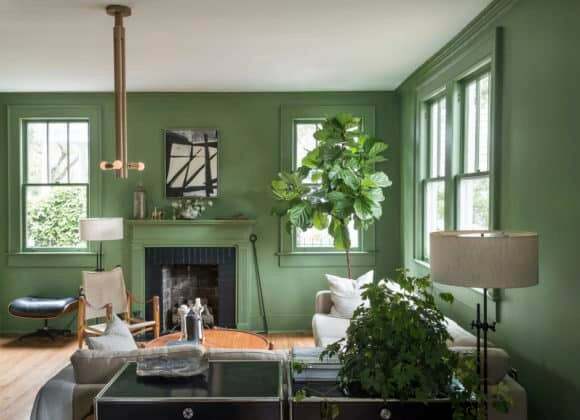 In the Charleston, South Carolina, living room of Workstead founder Robert Highsmith, rich green walls are a nod to the lush botanicals of the city’s historic downtown district. An original Kaare Klint Safari chair sits along custom pieces by Workstead, including the coffee table, floor lamps and a wooden pendant light. Jan Showers created this glamorous, sophisticated residence for a Dallas client using a palette of ivory, French blue and soft sage. 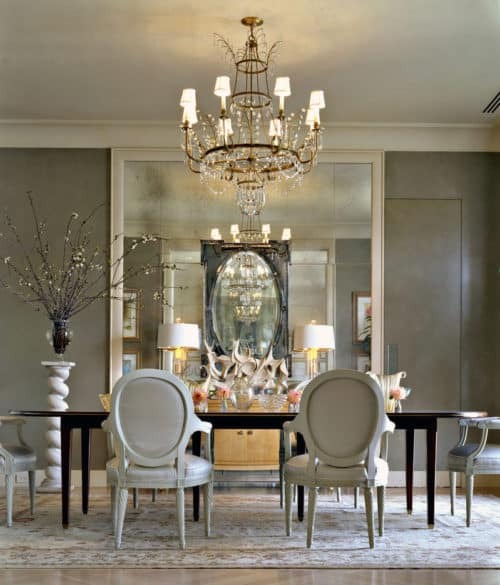 Antiqued mirror paneling and a 19th-century chandelier give the living room a soft glow. In the dining room of the Dallas home, Showers commissioned a Directoire-style table to match a set of antique dining chairs. 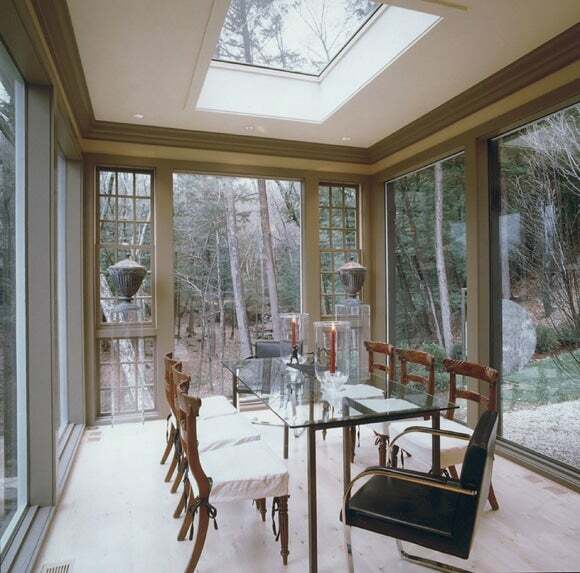 The pale oak floors and glazed wall colors were selected to impart a sense of serenity to the residence. 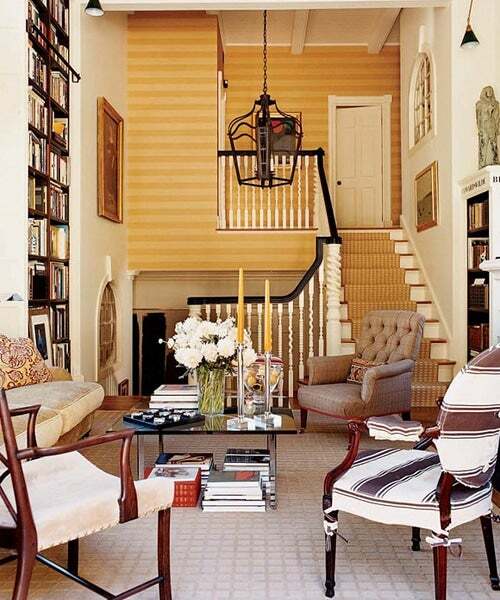 Brockschmidt & Coleman filled this Nashville residence with a mixture of antiques from the American South, but used an “assertive color palette and tailored appointments to reflect a more urban sensibility.” A collection of antique maps of Mississippi, Tennessee and Virginia line the staircase. 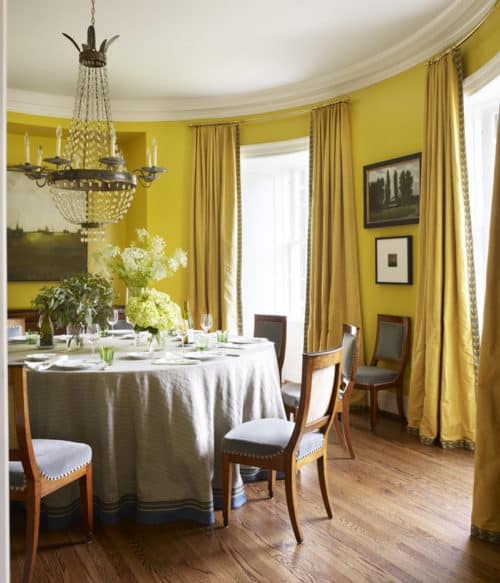 For the home’s dining room, Brockschmidt & Coleman selected a chrome yellow hue that was inspired by the dining room at Thomas Jefferson’s Monticello. The sideboard, in the rear of the photo, is an antique sourced from Kentucky. A seagrass club chair, striped floor covering and simple, silk draperies provide casual counterpoints to the grand proportions of this Atlanta sitting room by Nate Berkus. Eric Cohler took his design inspiration for a glass-walled addition to a 1790s home in Charleston, South Carolina from Mies van der Rohe. Two Brno armchairs by van der Rohe sit at the heads of the table, while the six side chairs are Georgian antiques. In a 19th-century family home, also located in Charleston, Cohler selected a wrought iron Naverre lantern by Dennis and Leen to accentuate a neoclassical stairwell, an ode to the architecture of Sir Edwin Lutyens. The Barcelona coffee table is by Mies van der Rohe. 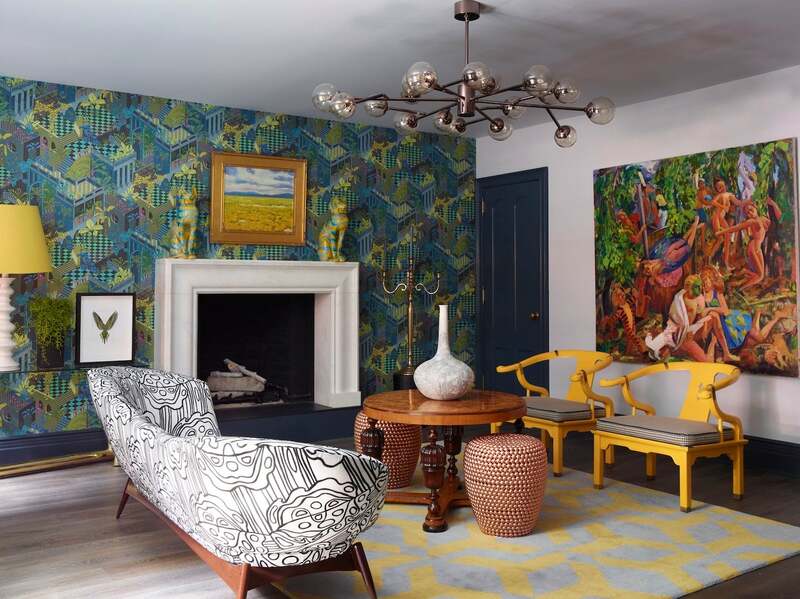 At the 2016 Southern Style Now Showhouse in New Orleans, designer Paloma Contreras used a sand-colored de Gournay wall covering to create a open, airy feeling for the guest suite.